The world our children are growing up in today is vastly different from the one we recall as we think back to our own adolescences. It is not only the typical changes we see naturally occurring from one generation to the next, but a whole new component to parenting has been added with the development and rapid growth of technology. Couple these changes with the dynamics of what constitutes a family, balancing the busy life of career and home, and taking preventative measures to safeguard our children against negativity. We all want our children to excel and lead happy, productive lives, but now more than ever today's parents need a basic guide that tells them everything they need to know and provide them with the answers they are seeking in the most effective yet simplistic fashion. 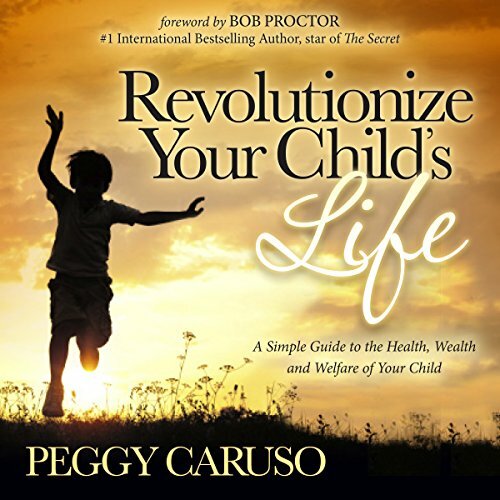 Revolutionize Your Child's Life will do just that for parents looking to help their children while at the same time empowering them to make their own sound decisions as they grow and face challenges that lie ahead of them. It will educate you on understanding how your child's mind develops and influences every action. You will be able to identify behavioral issues before they fully develop and repair the ones that have become problematic. You will learn the key to helping your child reach success and happiness.